Director Shankar may begin the shooting of the Telugu version of 3 Idiots in December as he had already obtained the call sheet of Mahesh Babu. The Tamil version will begin sometime later as Vijay’s dates are mixed up with his other projects. Jiiva is set to play one of the roles in Tamil. There is a talk that Siddharth and Arya are in the race for yet another important role. 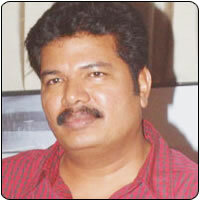 Shankar may rope in either of them as both enjoy immense popularity in Kollywood and Tollywood. So, for now, the Tamil version still looks bleak with nothing finalized.